This front end kit provides a 34.5” wide ski stance, moves the skis 5″ forward The a-arms have been designed so they can be used on either side of the sled, by just repositioning the swivel shock mounts. 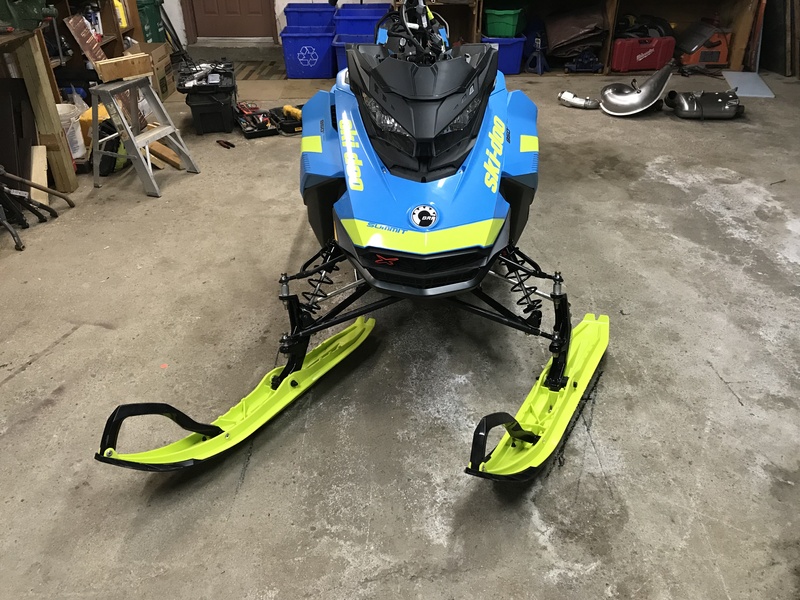 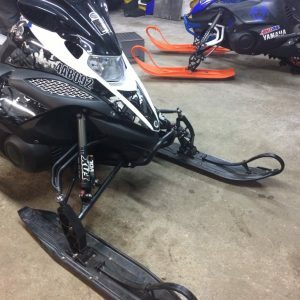 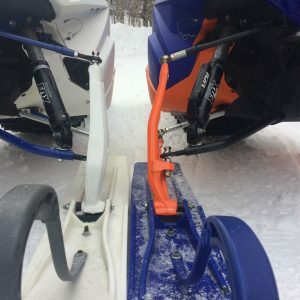 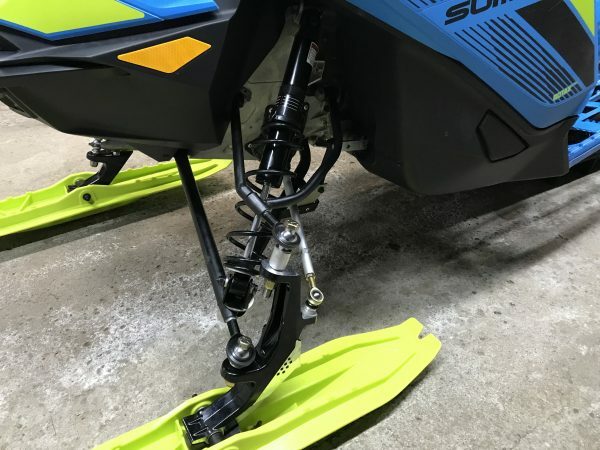 Also included with the kit is some engineered bolt-on hardware that increases turning radius by over 10 degrees making the sled more maneuverable in tight areas and making sidehilling a ease. 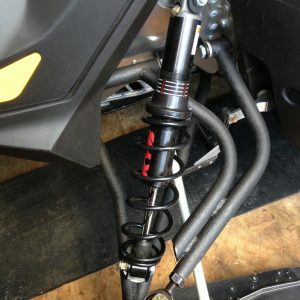 The kit is designed to utilize the OEM shocks.The kit comes complete ready to bolt on. 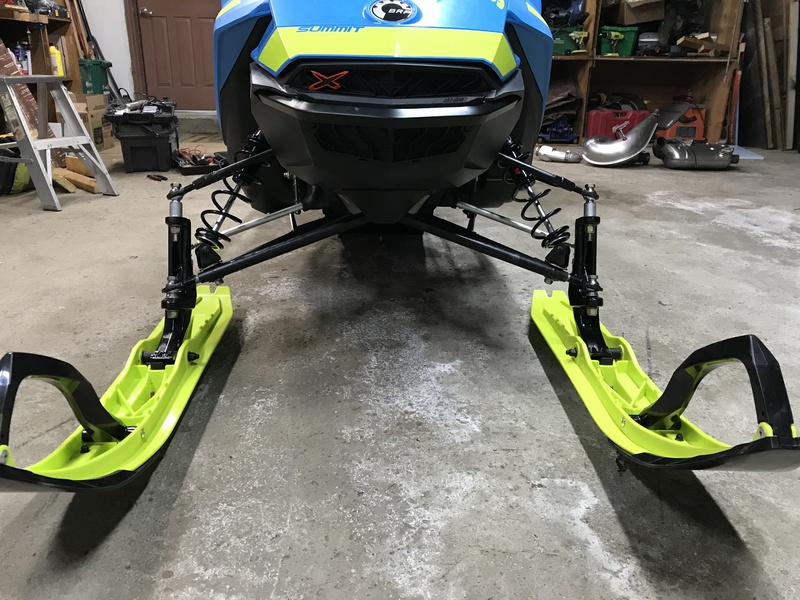 Built here in North America from aircraft quality TIG welded and powder coated 4130 chromoly steel, its quality construction provides the optimal balance between strength and weight savings.